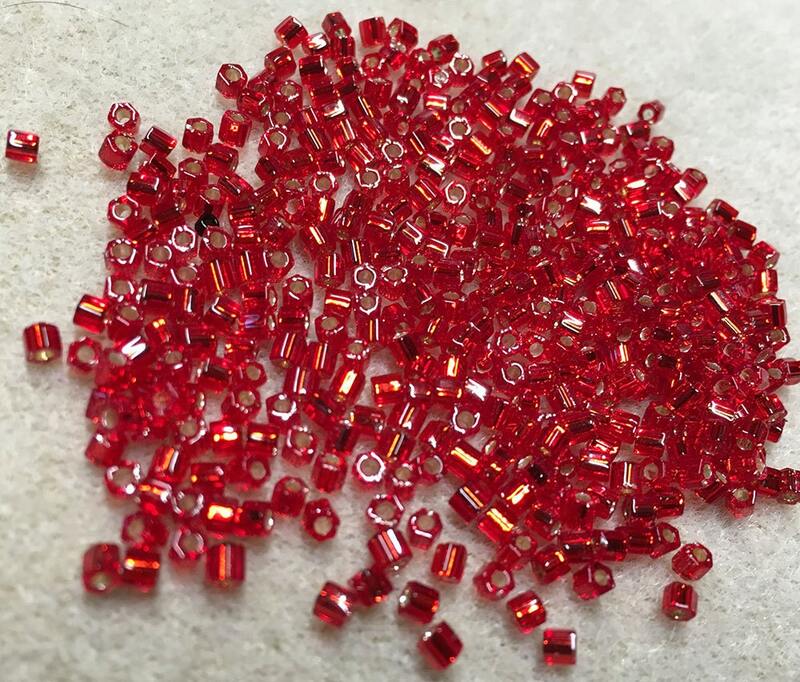 Red Silver Lined hex cut beads, size 8/0. One 8 gram tube, over 200 beads. Plenty of beads for your beading or knitting projects! You can also use these 8/0 hex cut beads for bead weaving as well as looming projects. Beads are consistent in size and shape which helps you create a professional looking project. These beads have a large hole that makes easy to use.